Saudi MERS: 107 cases for 2019, including 57 linked to a large outbreak in Wadi ad-Dawasir in which most cases were linked to healthcare exposure. A review: Dromedary camels as the main reservoir for human Middle East respiratory syndrome (MERS) infections. Saudi Arabia: 102 cases since the first of the year, of which 57 are linked to the outbreak in Wadi ad-Dawasir, most of which are linked to healthcare exposure, with some related to contact with camels. From 1 January through 31 January 2019, the International Health Regulations (IHR) National Focal Point of Saudi Arabia reported fourteen additional cases of Middle East respiratory syndrome coronavirus (MERS-CoV) infection, including three deaths. Details of these cases can be found by following the link to a separate document after this paragraph. Of the 14 cases reported in January, eight are from three separate clusters of cases. Cluster 1 involves three cases (listed as cases 1, 2 and 3) in Riyadh Province and cluster 2 involves two cases (listed as cases 4 and 5) in the city of Jeddah. Cluster 3 involves three cases (listed as cases 11, 13 and 14) in the city of Wadi Aldwaser and is currently ongoing. More details regarding the outbreak in Wadi Aldwaser and the implementation of interventions by the Ministry of Health (MoH) in Saudi Arabia will be provided in the next update. The link below provides details of the fourteen reported additional cases. From 2012 through 31 January 2019, the total number of laboratory-confirmed MERS-CoV cases reported globally to WHO under IHR (2005) is 2 298 with 811 associated deaths. The total number of deaths includes the deaths that WHO is aware of to date through follow-up with affected member states. As of 15 February 2019, there is an ongoing outbreak of MERS in Wadi Aldwaser, which includes cases 11, 13 and 14 reported in the separate document linked above. WHO will provide details of the additional cases involved in this outbreak as well as intervention measures implemented by the MoH. The notification of additional cases does not change the overall risk assessment. WHO expects that additional cases of MERS-CoV infection will be reported from the Middle East, and that cases will continue to be exported to other countries by individuals who might acquire the infection after exposure to dromedary camels, animal products (for example, consumption of camel’s raw milk), or humans (for example, in a health care setting). WHO continues to monitor the epidemiological situation and conducts risk assessment based on the latest available information. Infection prevention and control measures are critical to prevent the possible spread of MERS-CoV in health care facilities. It is not always possible to identify patients with MERS-CoV early because like other respiratory infections, the early symptoms of MERS-CoV are non-specific. Therefore, healthcare workers should always apply standard precautions consistently with all patients, regardless of their diagnosis. Droplet precautions should be added to the standard precautions when providing care to patients with symptoms of acute respiratory infection; contact precautions and eye protection should be added when caring for probable or confirmed cases of MERS-CoV infection; airborne precautions should be applied when performing aerosol generating procedures. Early identification, case management and isolation, together with appropriate infection prevention and control measures can prevent human-to-human transmission of MERS-CoV. MERS-CoV appears to cause more severe disease in people with diabetes, renal failure, chronic lung disease, and immunocompromised persons. 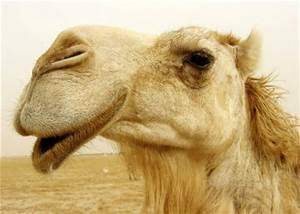 Therefore, these people should avoid close contact with animals, particularly dromedary camels, when visiting farms, markets, or barn areas where the virus is known to be potentially circulating. General hygiene measures, such as regular hand washing before and after touching animals and avoiding contact with sick animals, should be adhered to. Food hygiene practices should be observed. People should avoid drinking raw camel milk or camel urine, or eating meat that has not been properly cooked.